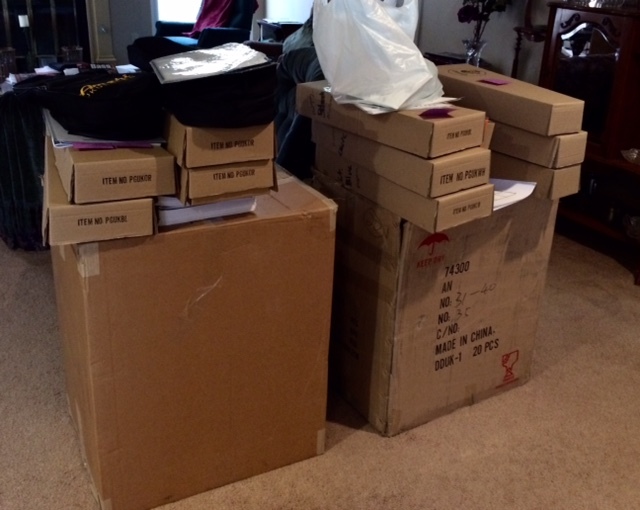 All the Public Ukuleles have been delivered! 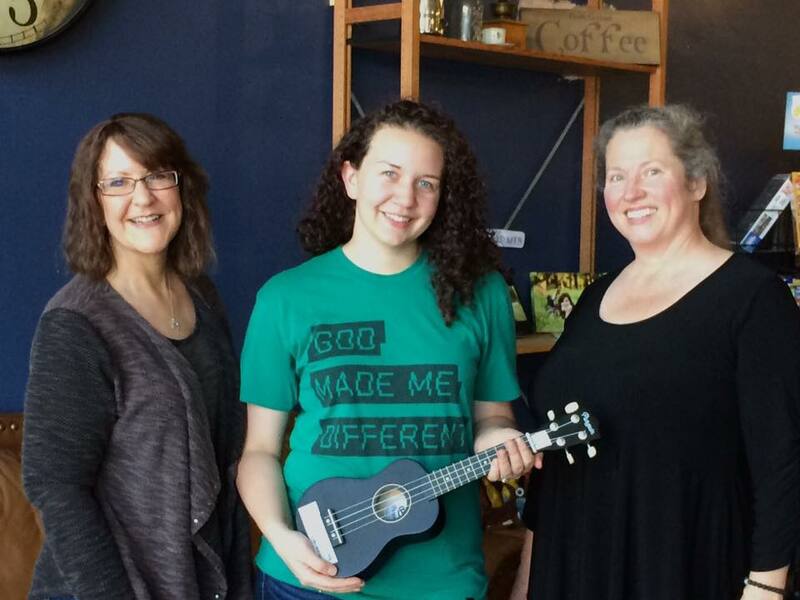 The first Public Ukulele was installed at Aspen Coffee at Fountain Square. 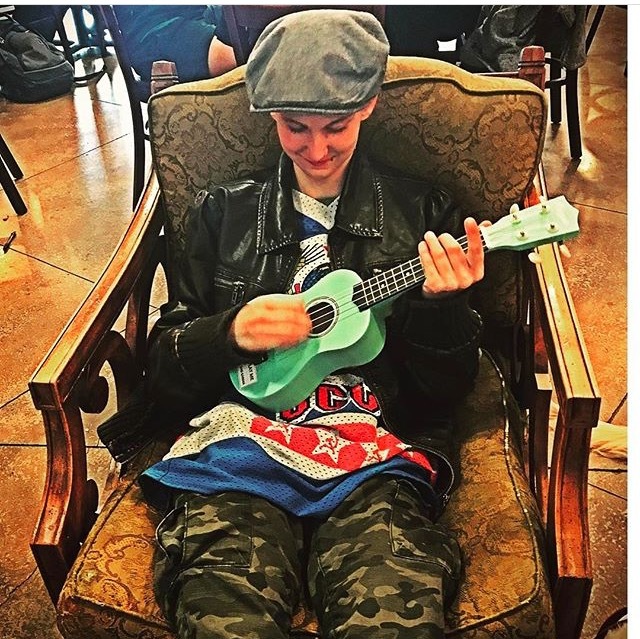 They are very supportive of local music and we host our open mics there. 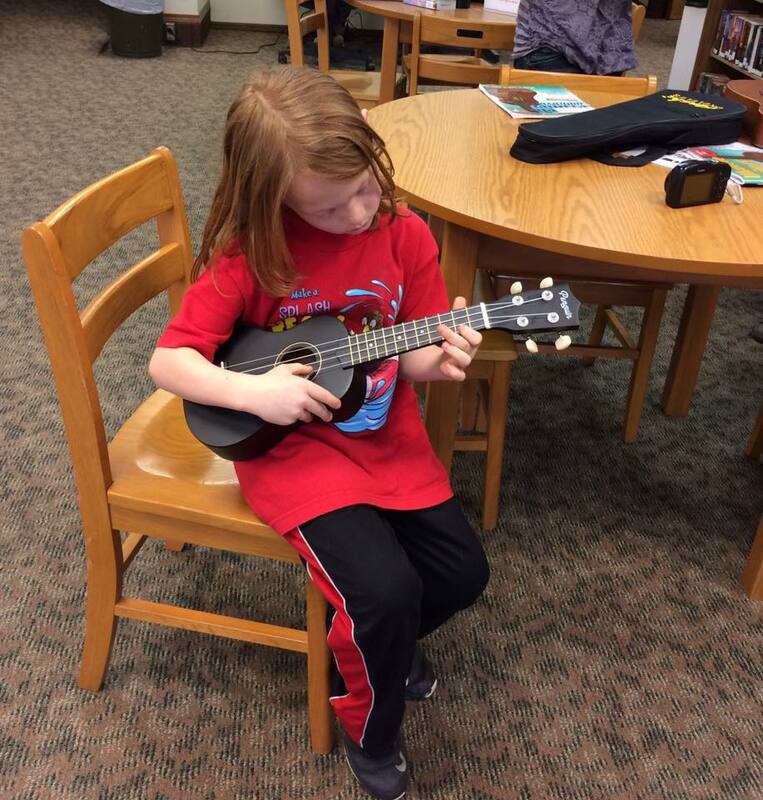 The next installation of the Public Ukulele movement was at the Stillwater Public Library. 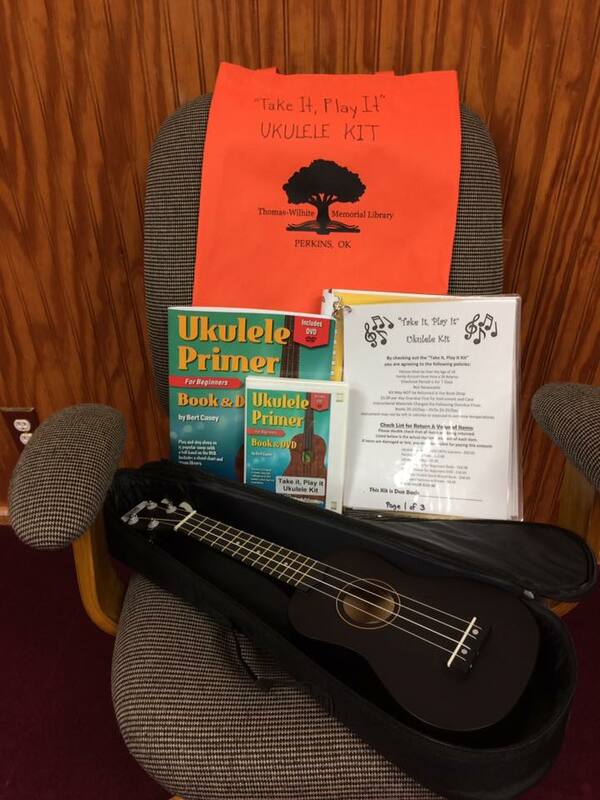 They now have a "Take it, Play it" program where you may check out a ukulele kit and learn to play at home (and join us at the Stillwater Ukulele Association meetings!). See below for a listing of all locations. 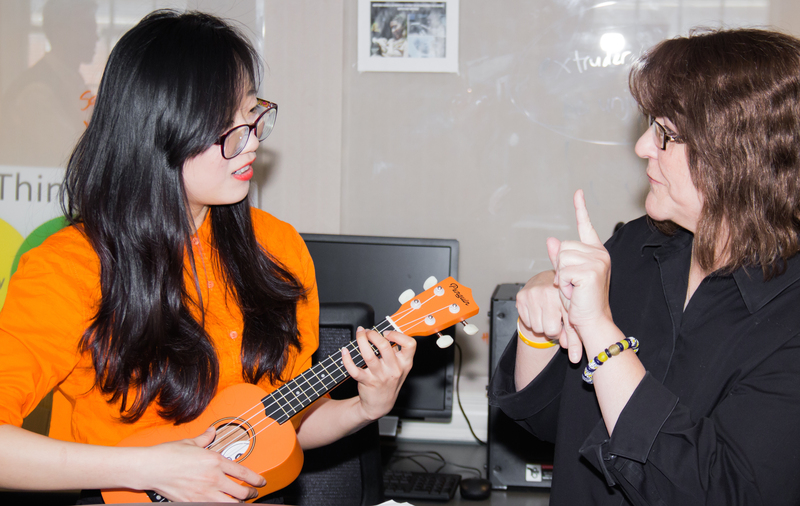 Here are a few resources that will help you improve your ukulele playing skills! 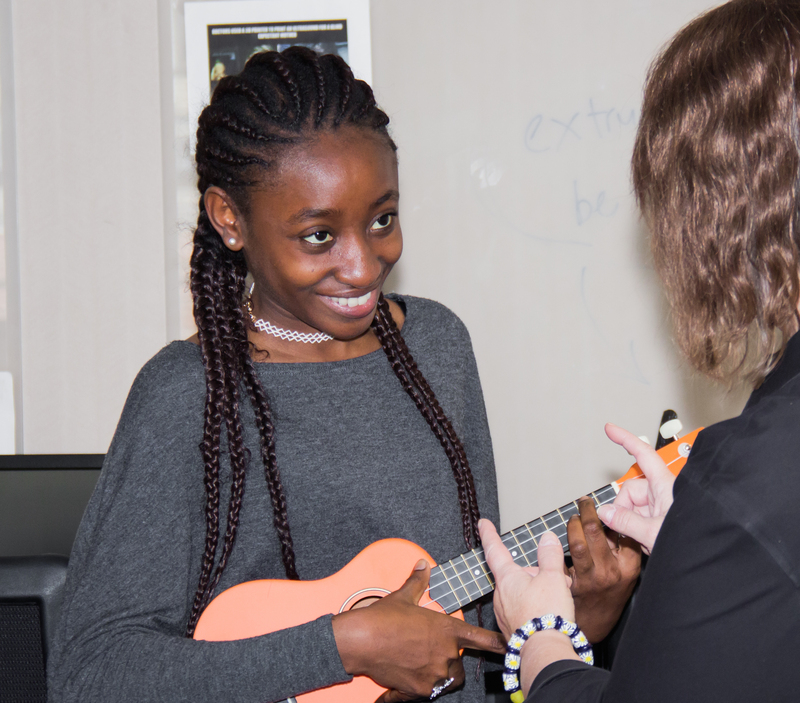 See our song packets and links pages for even more useful resources. 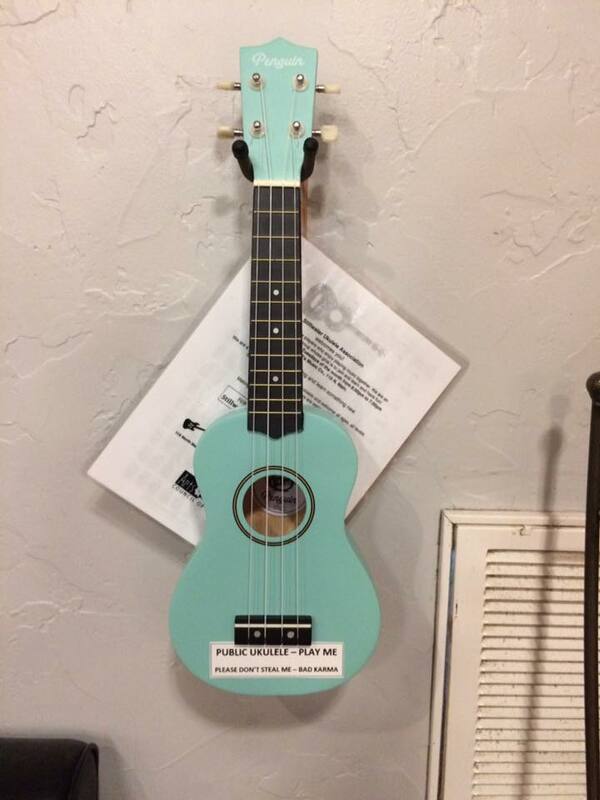 Give the uke a try at these locations and thank them for hosting our Public Ukulele. 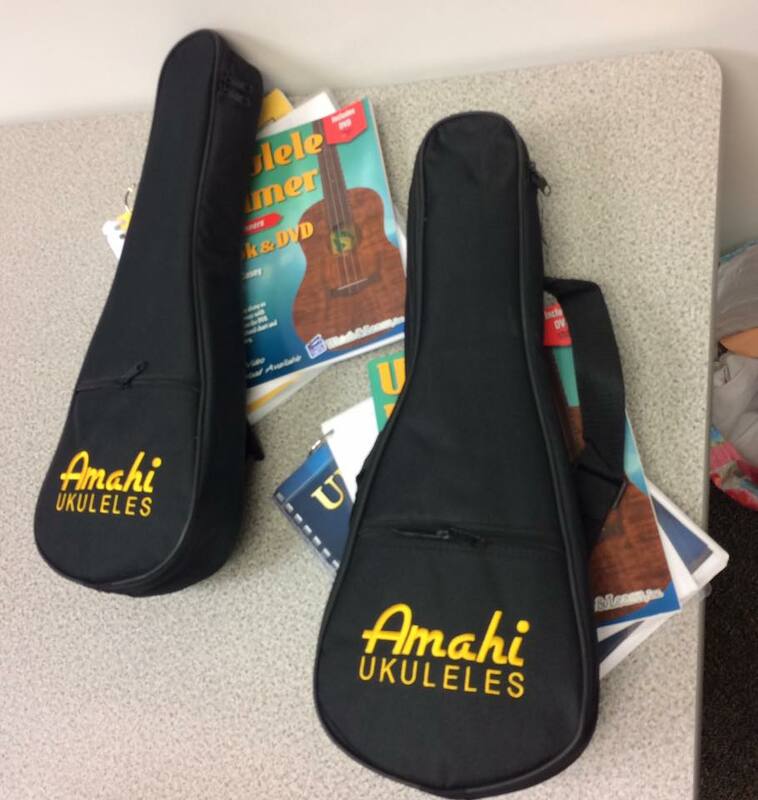 Daddy-O's Music​ worked with us and with Amahi Ukuleles​ to make our fund-raised dollars go so much farther. 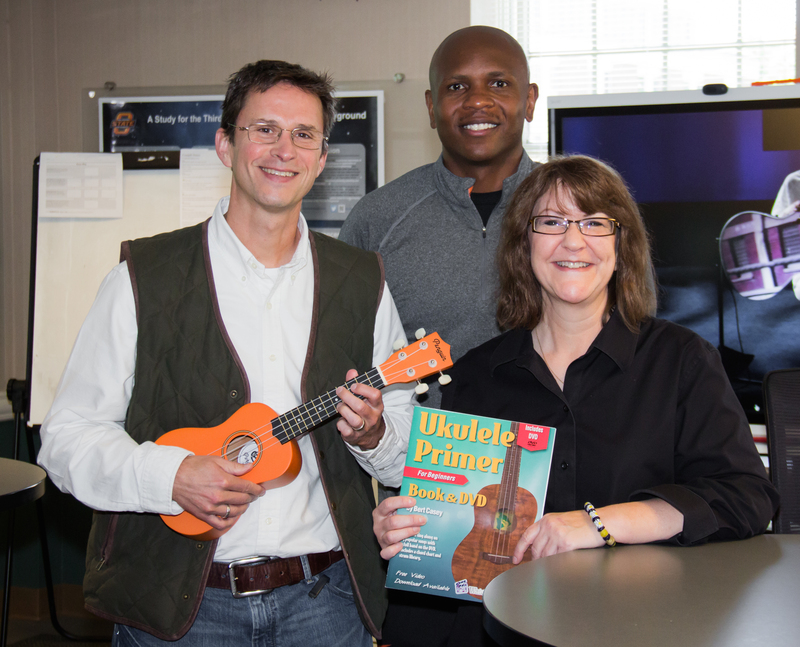 Their generosity in all our ukulele projects has been a significant help to the cause. 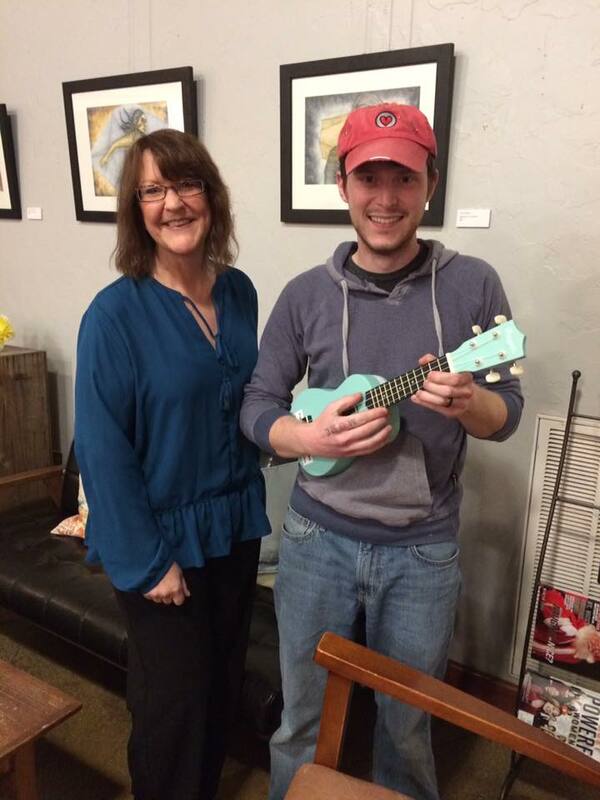 Stillwater Arts and Humanities Council​ funded our grant proposal and we thank them for supporting all arts in Stillwater. It's been Kami's pleasure to be able to share this with Stillwater and Payne County (and beyond). 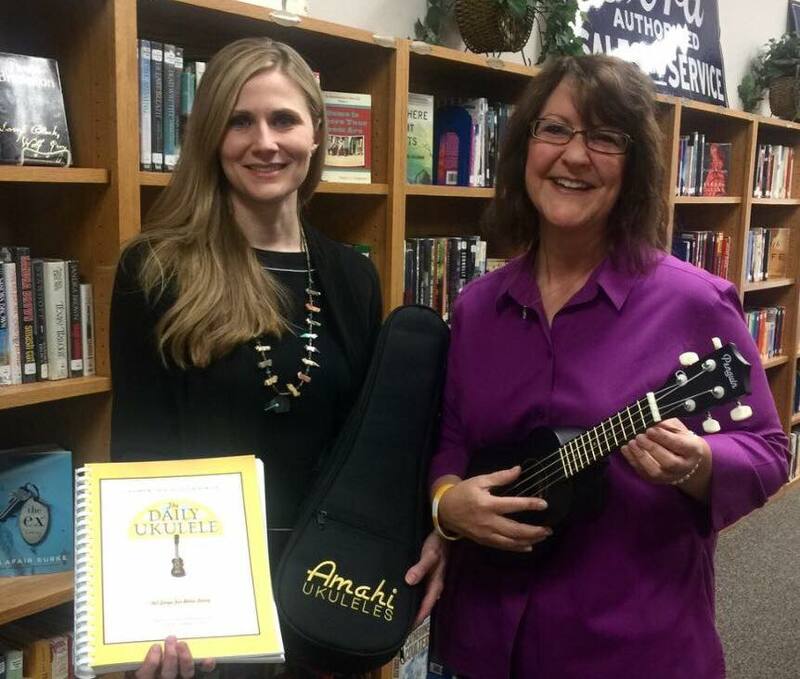 Kami has taught in-school programs, after-school programs, one-hour beginner sessions (for all ages), and was co-clinician at the Fall Conference of the Oklahoma Music Educators Association, presenting her Ukuleles in Schools program to elementary school music teachers. 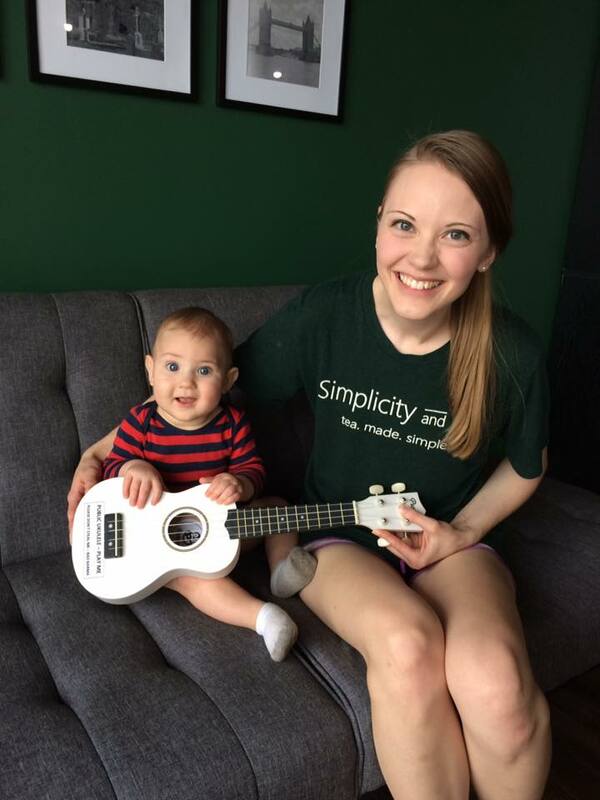 She continues to present a mini-beginning ukulele orientation at each of the Stillwater Ukulele Association meetings and jams, held at Daddy O's Music Co. on the 1st and 3rd Tuesdays of each month.